I’m serving up an extra helping of all the dish from Michael’s since I was not able to get to 55th and Fifth last week due to the biblical weather. (Will this winter ever end?) 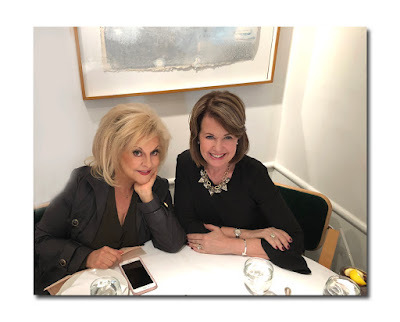 Last Monday I had lunch with Nancy Grace and, as you might expect, she had plenty to say. Today, I was joined by marketing guru and political analyst Robert Zimmerman and producer Joan Gelman, two of my favorite people to chat with about current events. Here’s two columns in one! First, Nancy and I go way back. I first met her when I was working on a book about celebrities and their mothers in 2003. At the time, I hadn’t known she was a force to be reckoned with -- I just had an insane deadline and needed to talk to bold face names about their relationships with their mothers and finish the book. Without hesitation, she graciously agreed to share her story. After speaking to Nancy about the close relationship she has with her mother, Elizabeth, I was touched. But it was hearing her story about how the shooting death of her fiancé, Keith Griffin, had compelled her to abandon her dream of settling down and becoming a school teacher and to instead go to law school and become a prosecutor that really fascinated me. At the time, I was intrigued to find out more about how that prosecutor who had become a victim’s advocate was now on the brink of becoming a full-fledged TV star. I checked her out on Court TV and Larry King. She could hold her own with anyone – and then some. It was then and there I knew Nancy had her own book in her and promptly pitched her on the idea. Two years later, her first book (co-authored by yours truly) was published and shot up the best-seller list. She’s since written three more best-sellers and is currently at work on another book. “I’m always writing!” After that I didn’t see Nancy again until her twins were born a decade ago and I profiled her for People magazine. We were long overdue for a catch-up. I heard Nancy’s familiar southern drawl when she said hello to some people as she made her way through the dining room. “Diane!” she threw her arms around me and we were off. After sharing photos on our phones of our children, we got down to business. 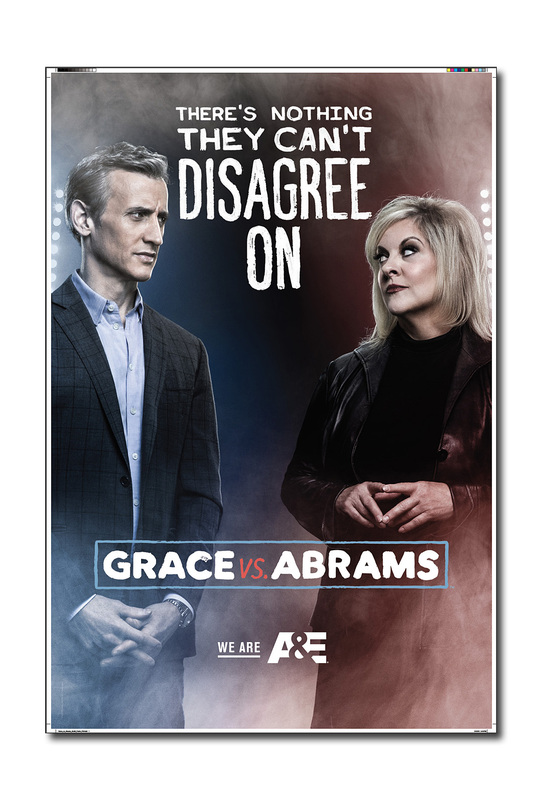 Nancy was in town shooting her new show, “Grace vs. Abrams” premiering Thursday night at 11 pm ET on A&E Network. The people Nancy and Dan are talking about on their new show are anything but nice. On the premiere, Casey Anthony (yes, ‘Tot Mom’) is the topic of conversation. Next week, convicted murderer Drew Peterson’s second wife makes an appearance on the show. “I was just transfixed,” said Nancy. “Drew Peterson hates my guts!” There’s also an episode about Chandra Levy’s disappearance and Gary Condit. Nancy recalled covering the young woman’s disappearance. “Condit’s son jumped all over me and kept blaming me and ‘the media.’ His father slept with an intern! No one has been held accountable [for Levy’s disappearance and murder. ]” Sounds like true crime fans will be riveted. I was joined today by Robert Zimmerman and Joan Gelman who are always great conversationalists about the issue of the day. Robert is the cofounder of Zimmerman/Edelson, a very successful PR agency on Long Island and is an in-demand political analyst on cable news. Joan has had a long career in television and in theater as a producer. We get together a couple of times a year to discuss politics (all OTR today) and talk obsessively about media. Today we took on the state of television. “I think we are in a golden age of broadcast,” said Robert as well settled in for lunch. He’d just seen Last night’s premiere of “Roseanne” and gave it the thumbs up. “I thought it was smart and edgy,” he said of its political humor that sets up Roseanne and her sister Jackie on opposite ends of the current spectrum.” Joan, who isn’t a fan of network television, gave Whoopi Goldberg high marks for keeping The View relevant. “She is such a professional.” High praise coming from Joan, trust me. We all agreed that cable news has become an obsession. Robert watches everything “across the political spectrum” while Joan is glued to MSNBC. “It’s like a drug,” she said. “I love Chris Matthews and I like Rachel [Maddow].” Having worked at WCBS-TV in New York, Joan told us she thinks today’s news is “too local” and needs more in-depth reporting and service-oriented pieces. Today, said Robert, “People watch the news to reinforce their existing point-of-view, not to learn something new.” The greatest irony, though, is this: “We’re in a post-factual age and we’re living in a world where there are more opportunities to fact-check than ever before.” No argument here. On a lighter note, Joan and Robert also shared their theater recommendations with me. Fresh off a trip to London where she saw “everything,” Joan told me she loved "Network", an adaption of the Peter Finch-Faye Dunaway film at the National Theatre. She’s seeing the revival of "Angels in America" starring Andrew Garfield this week which is a two-part, seven hour “masterwork” according to The New York Times. Robert, suggested I take my 13 year-old daughter to see "The Lion King" (“One of the best shows I’ve ever seen”) and "Phantom of the Opera" during her spring break. He’s off to Europe in a few weeks on a very special trip. I’m glad I have fancy friends like these who allow me to live vicariously through their deep dive into culture while I’m home watching "The Crown"! Table One was jam-packed with well-heeled ladies who lunch feting Eva Mohr who was celebrating a birthday. We spotted her dear friend Today show host Kathie Lee Gifford in the mix. I chatted briefly with Rikki Klieman before she joined in the fun. Fabulous Rikki, who is a legal analyst for CBS News and always looks perfectly put together, told me she’s been on air since 4 am talking about the motion filed by attorney, Michael Avenatti for President Donald Trump to be deposed over an alleged affair with Stephanie Clifford aka Stormy Daniels. 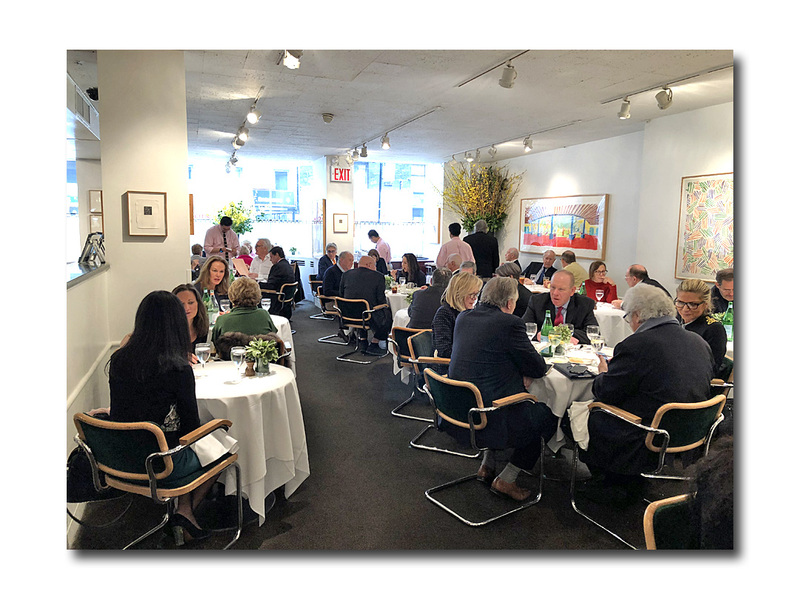 Gordon Elliot was on Table Two … Andrew Stein and Judith Miller seemed to have a lot to talk about on Three … Peter Brown was at his usual perch on Table Four … Allen & Company’s Stan Shuman was on Five …The Imber Gang: Dr. Gerald Imber, Jerry Della Femina, Andy Bergman and a young lady we didn’t get to meet were holding court on Table Six …Uber agent Esther Newberg was on Table Eleven … NBC’s David Corvo on Twelve. 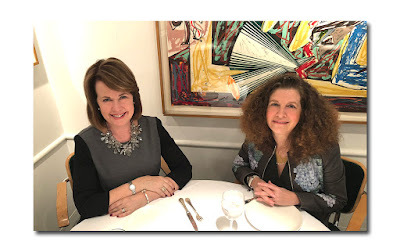 I stopped by Table Fifteen to say hello to my pal power publicist Judy Twersky who was lunching with Lisa Birnbach and Maurie Perl. Judy, who did such a stellar job promoting Sheila Nevins book, is now working with Joanne Lipman whose new book, That’s What She Said, a timely tome about the structural changes and challenges women are facing in the workplace. 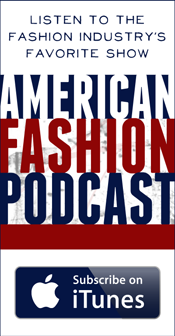 Joanne will be talking about this hot topic at the 92nd Street Y on April 8. Busy Judy has also taken on Laurie Burrows Grad’s new book entitled The Joke’s Over, You Can Come Back Now: How This Widow Plowed Through Grief and Survived. Expect to see both women all over the airwaves soon! 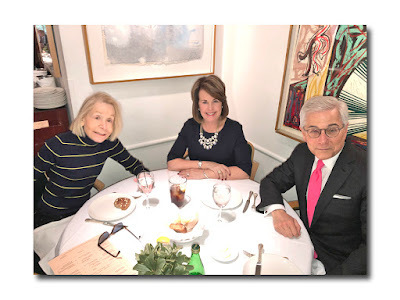 And finally… Neil Lasher on Sixteen … LAK PR’s CEO Lisa Linden with City & State’s Tom Allon …Social swan Cece Cord on Table Twenty. See you at Michael’s next week!